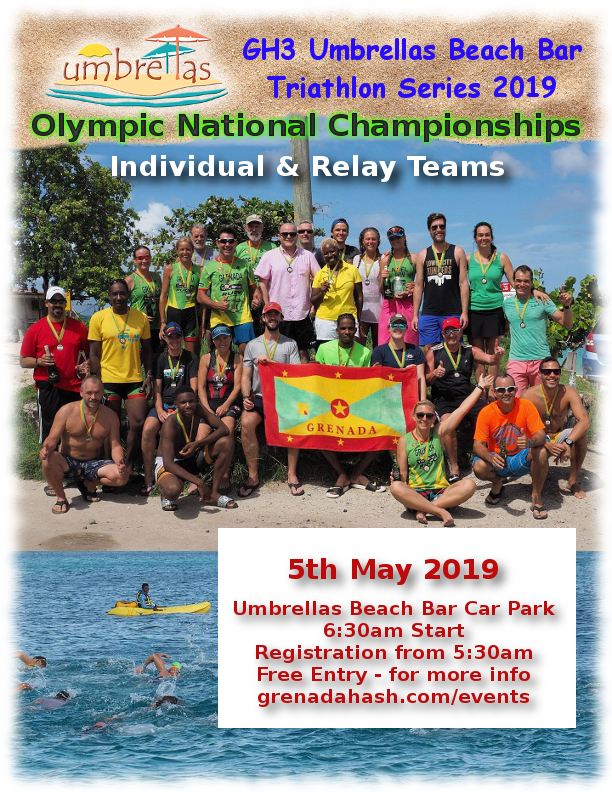 GH3 Events will be hosting the first of the three ‘GH3 Umbrella’s Beach Bar Triathlon Series” for 2019. We will be holding an Olympic distance triathlon – which is also our Grenadian Olympic National Championships. The event is free and open to everyone, athletes can enter the triathlon either as an individual or as a relay team. Location: The event will be held on Grand Anse Beach, outside Umbrellas Beach Bar. Age Requirements: Competitors must be 16 years and over on 31st December 2019. We are always looking for volunteers to help with the triathlon, please contact me if you can assist with this event. Volunteers are requested to arrive at 5:30am on Sunday 5th May 2019.